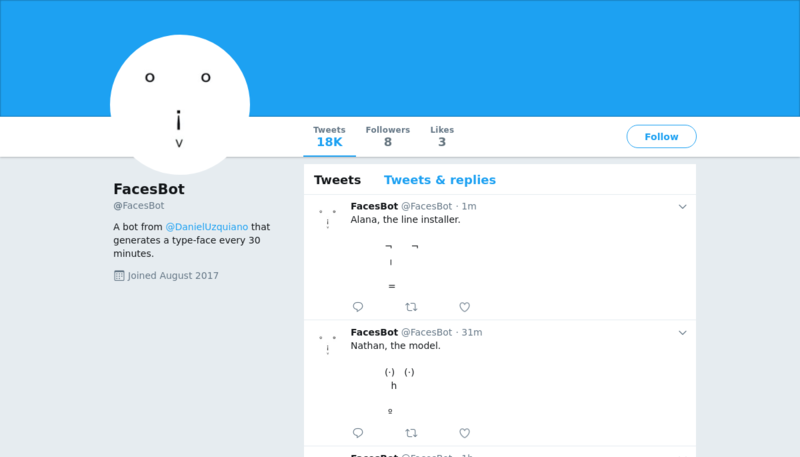 A bot that generates a type-face every 30 minutes. 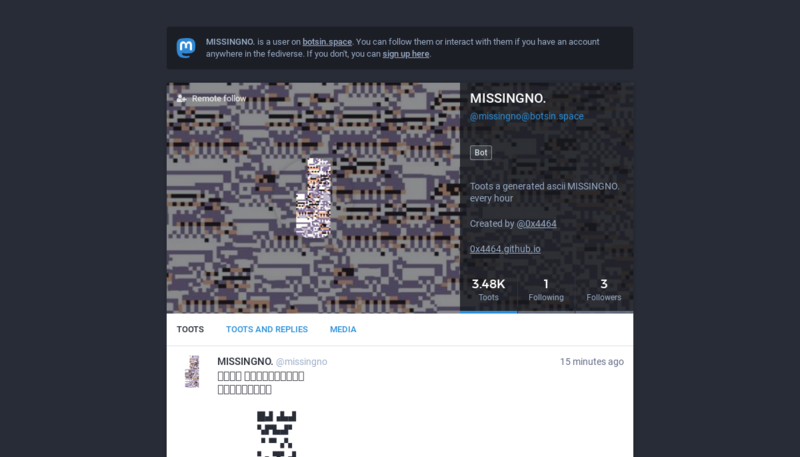 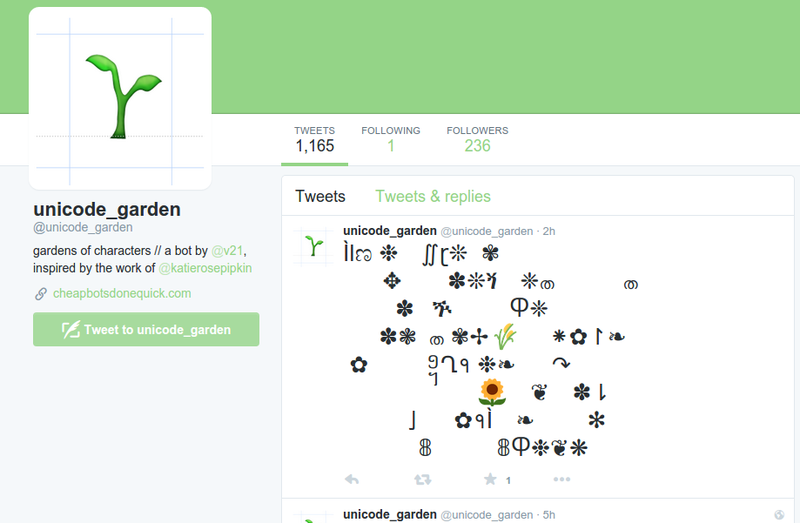 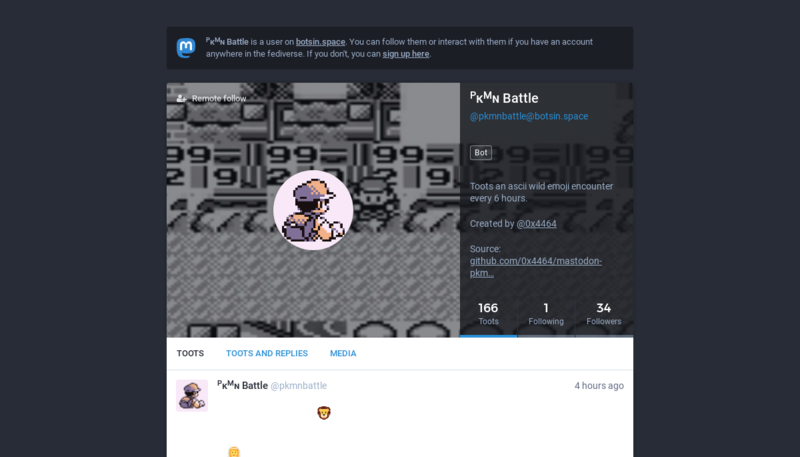 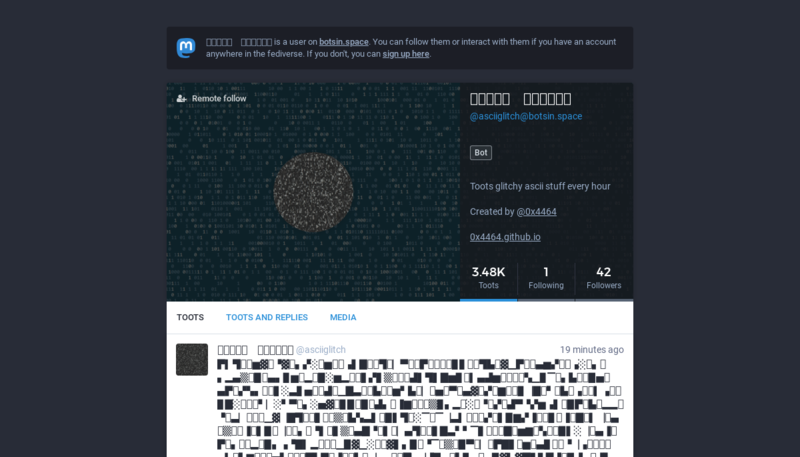 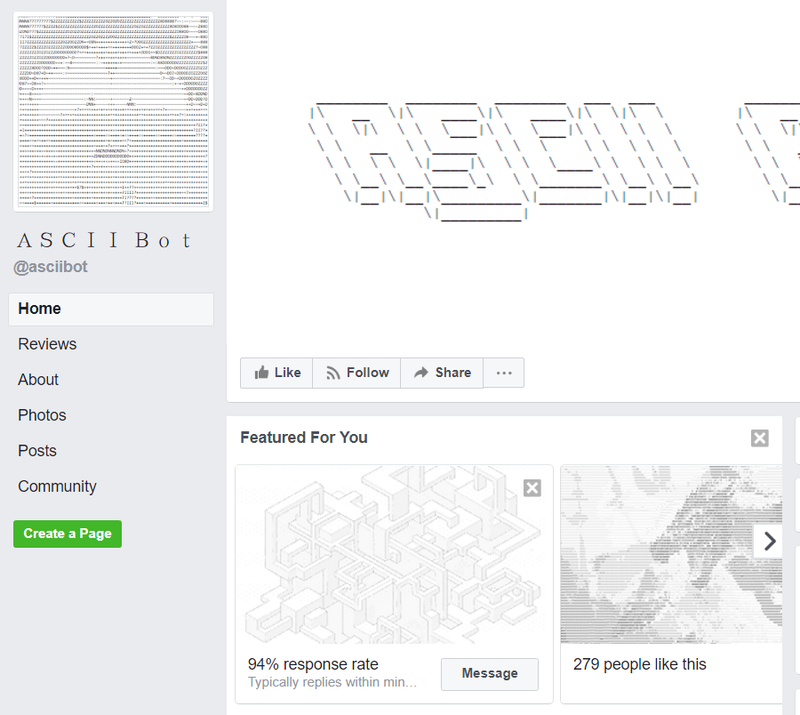 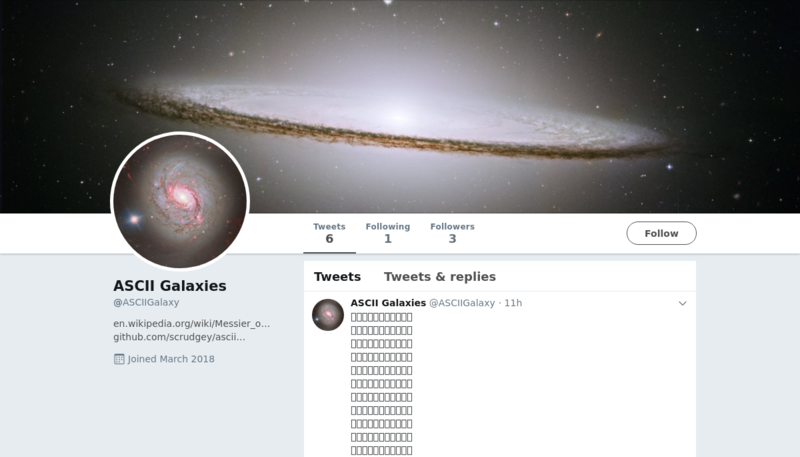 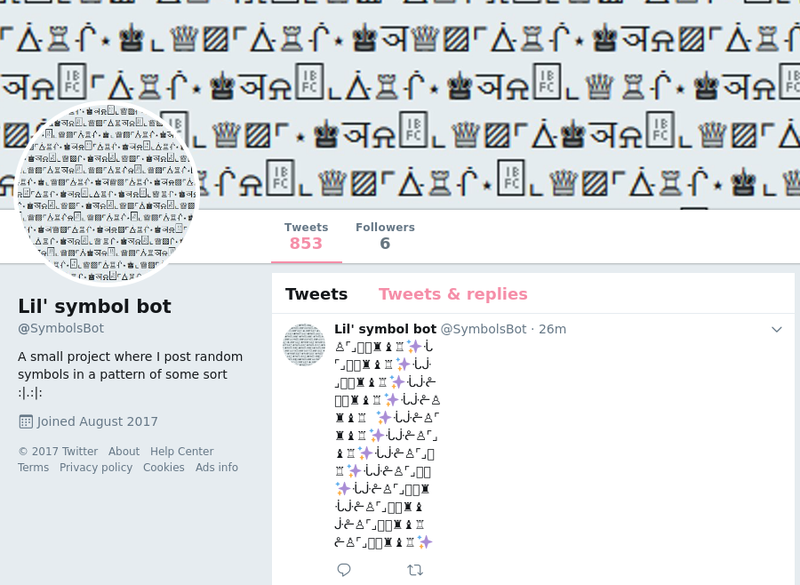 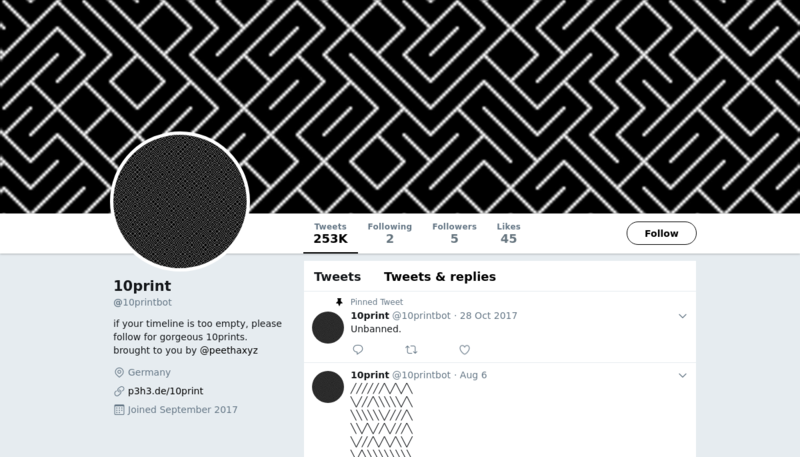 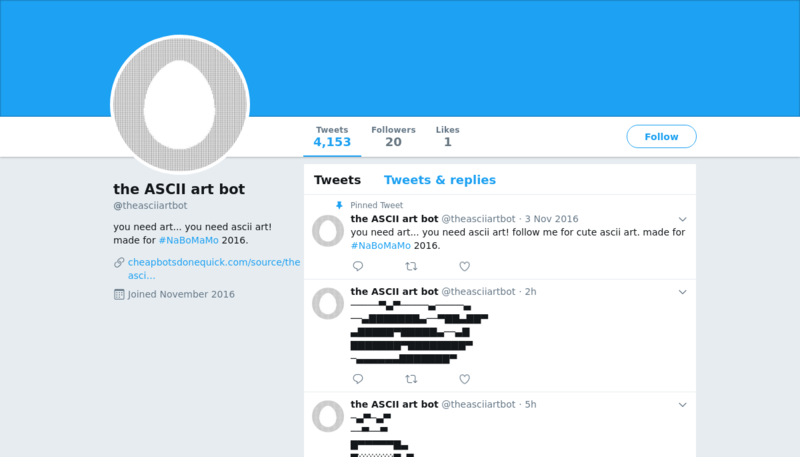 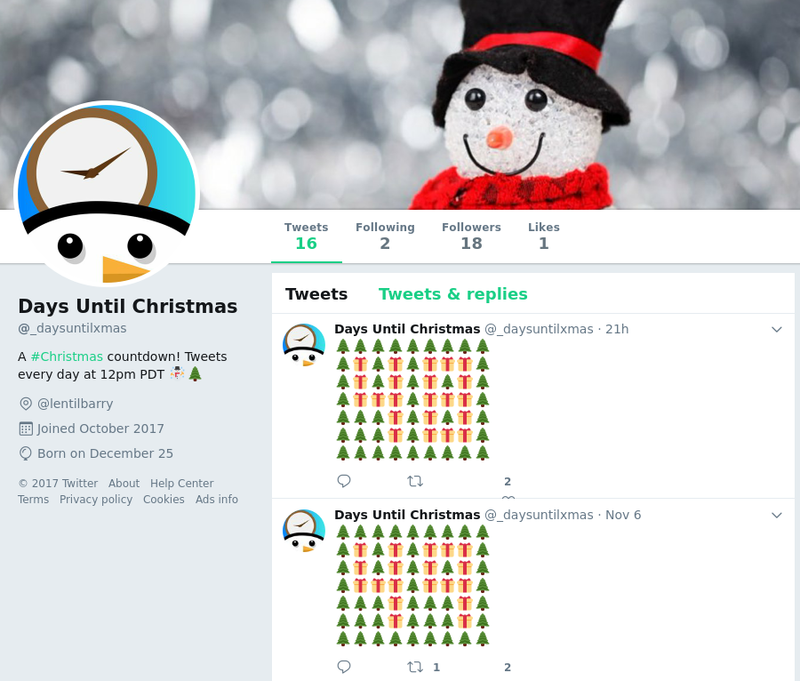 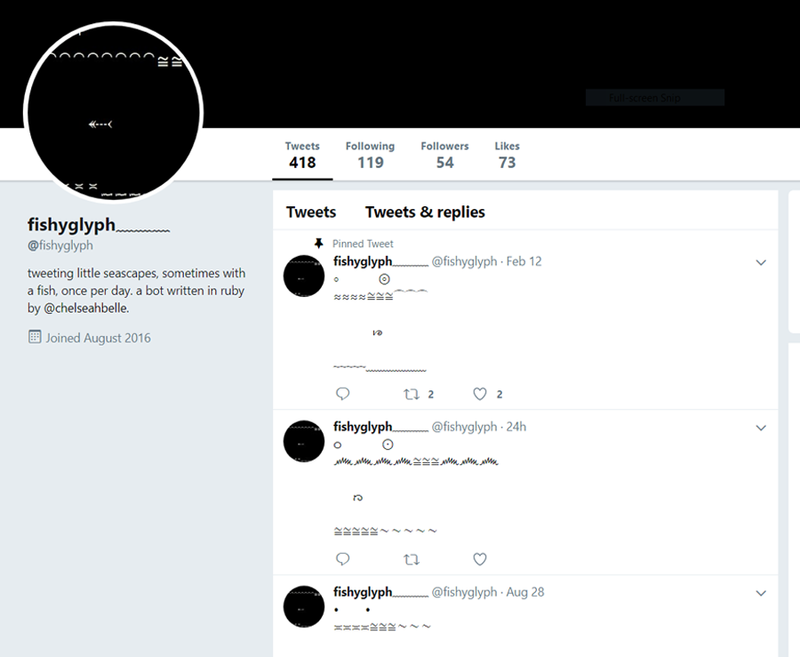 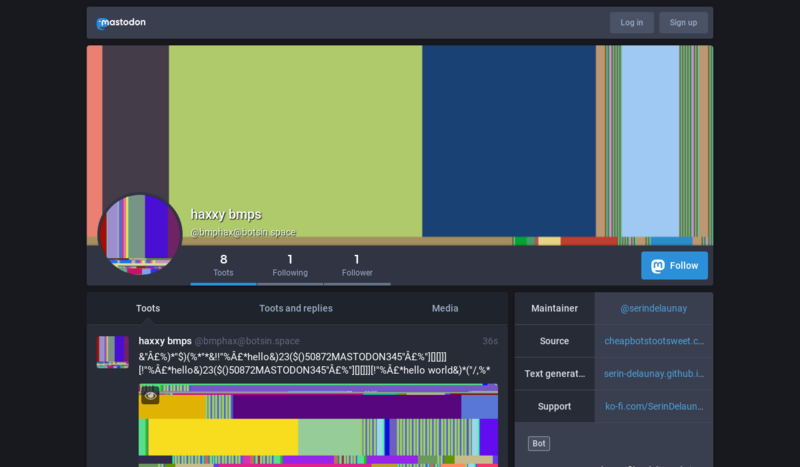 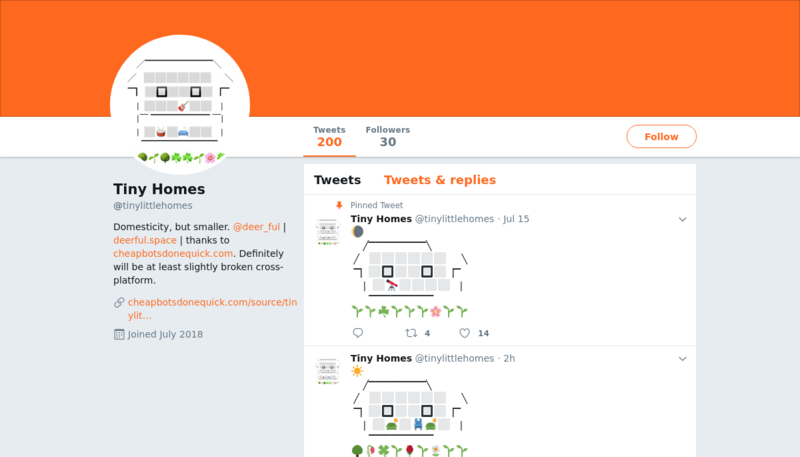 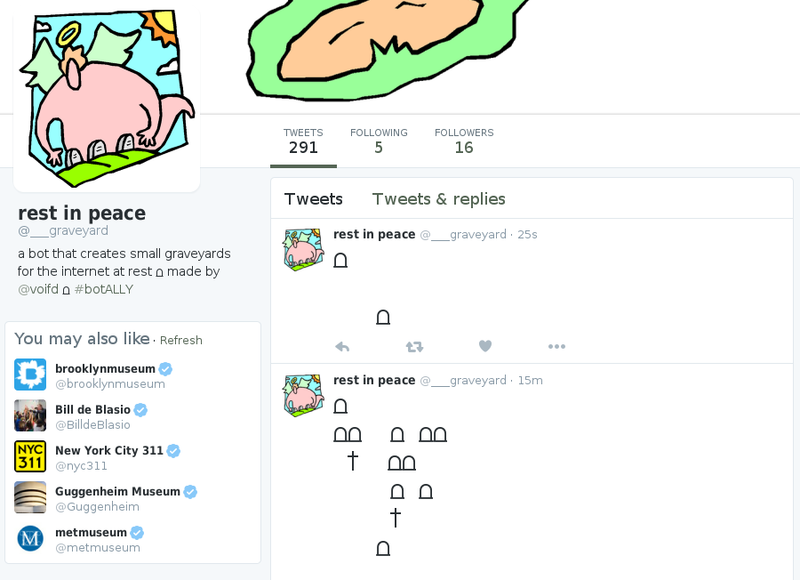 A bot that tweets ASCII art. 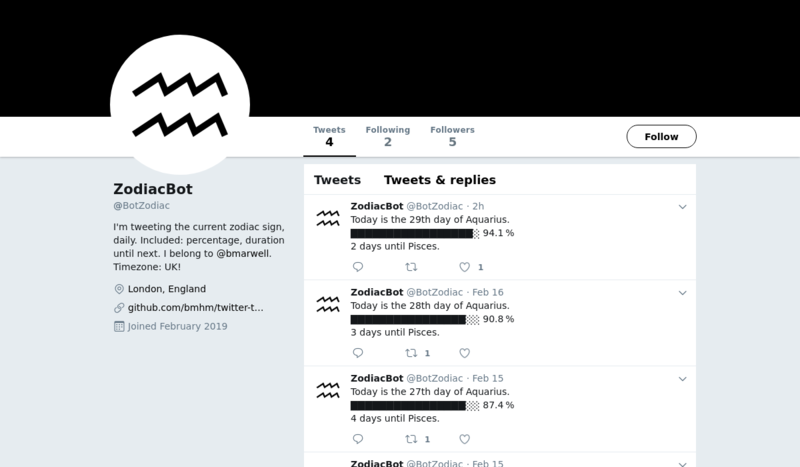 Little seascapes, sometimes with a fish, once per day. 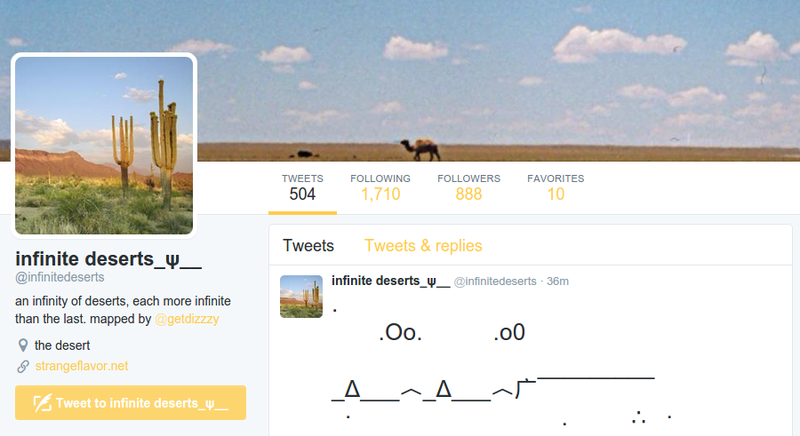 An infinity of deserts, each more infinite than the last. 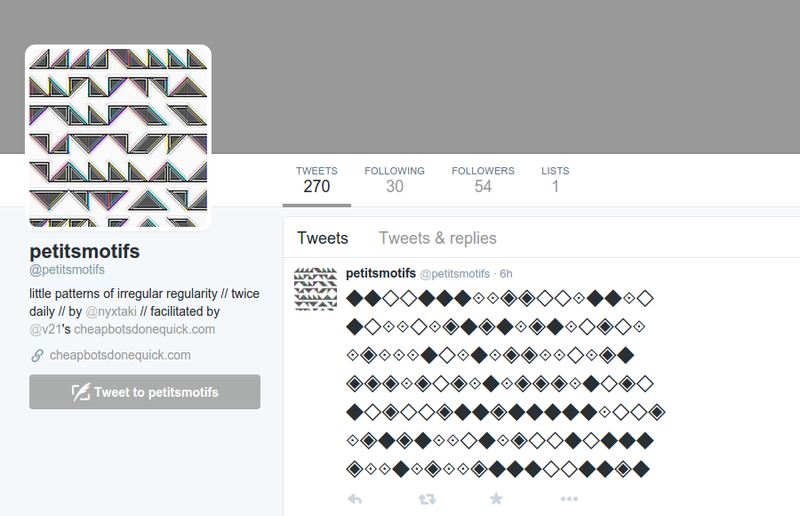 Little patterns of irregular regularity. 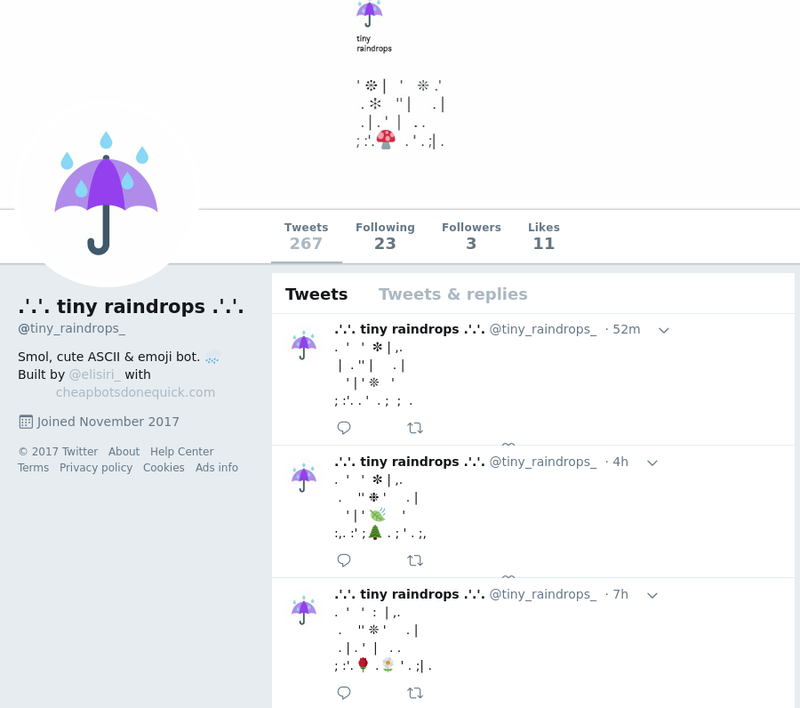 Smol, cute ASCII & emoji bot. 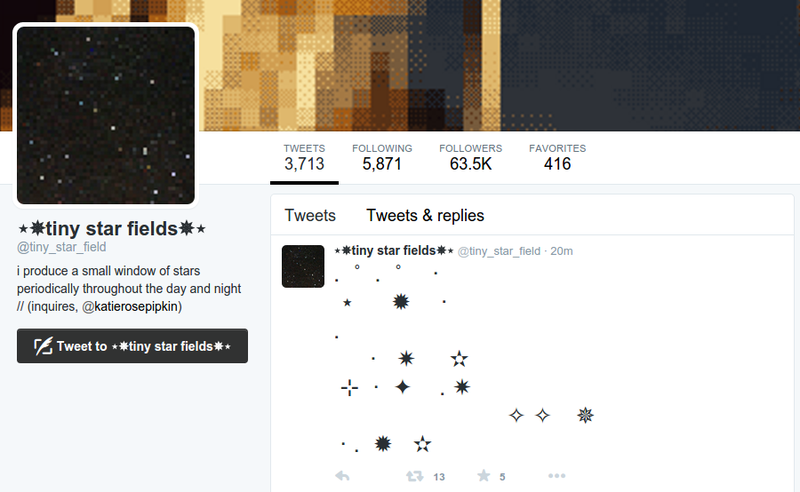 A small window of stars. 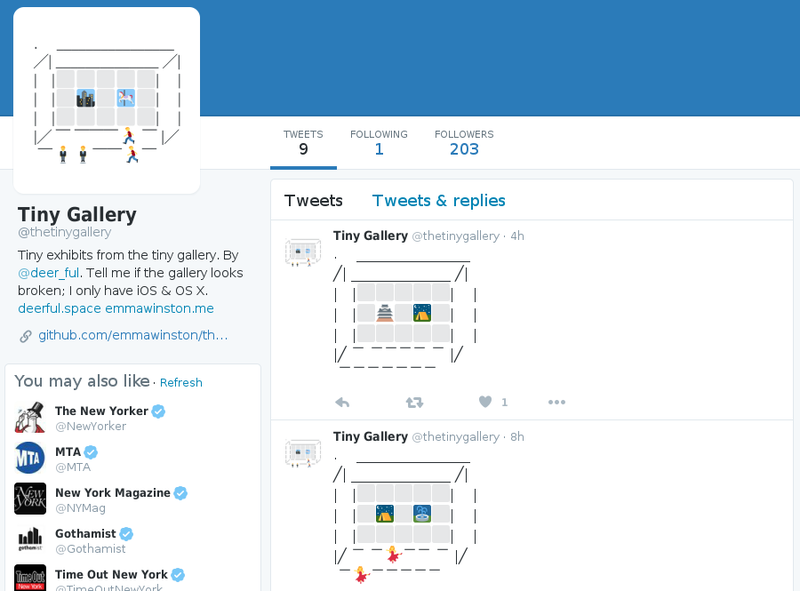 Tiny exhibitions from a tiny emoji gallery.